Bridge of Hope Children’s Ministry is a Christian Charity based in the UK. We work in South West Uganda in the district of Rukungiri. 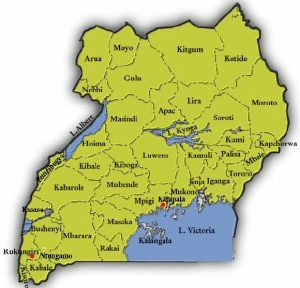 The town of Rukungiri is located approximately 250 miles from Kampala which is the capital city of Uganda. Rukungiri is surrounded by hills and valleys and has over one thousand villages where most of the poorest people farm the land to make a living and provide food for their families. The Bridge of Hope Children’s Ministry has four and a half acres of land where we have built two family style homes for children and a nursery & primary school. These facilities can be located close to Kebisoni which is approximately ten miles from Rukungiri town.